FReSH makes Fragrance Shopping Affordable and Fun! I love perfumes, colognes and anything about fragrances! However, I don't go easily with those signature scent that kills my budget nor the cheap ones that just leave unnoticeable smell that's not even worth spending money for. 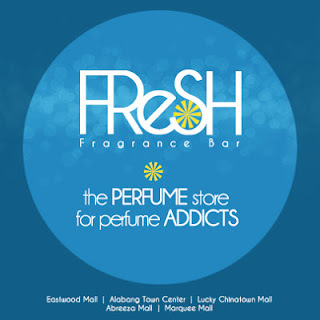 Known as the "Perfume Store for Perfume Addicts", FReSH Fragrance Bar opens stores around the country. 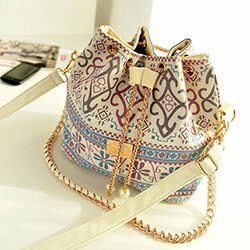 It offers reasonable prices compared to department stores, flexible payment schemes, perpetual promotions and loyalty program so you can easily afford the bottle you've been eyeing. FReSH currently has five retail stores in Eastwood Mall, Alabang Town Center, Lucky Chinatown Mall, Marquee Mall Pampanga, Abreeza Mall Davao and more to come. For further information, you can visit their Facebook page HERE. gonna check fresh fragnance bar!